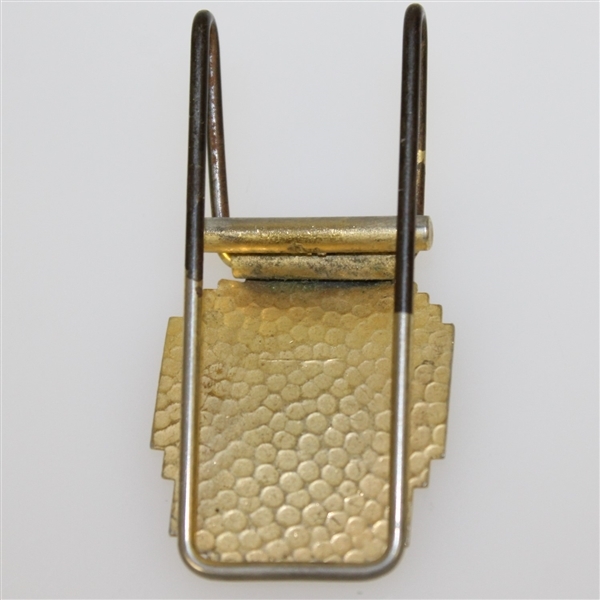 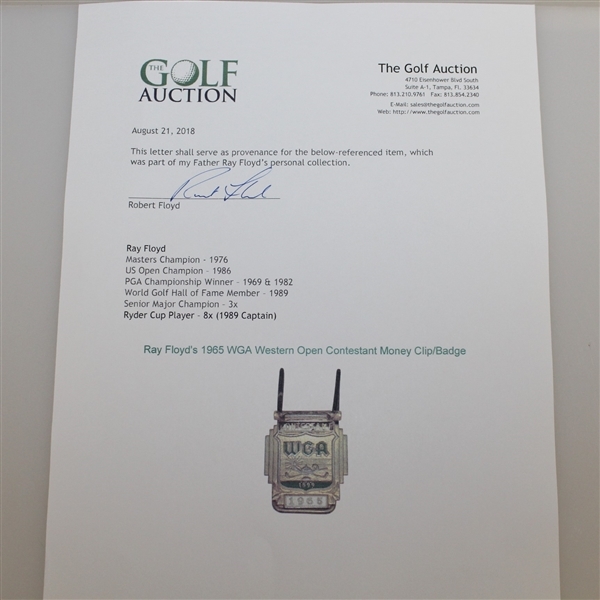 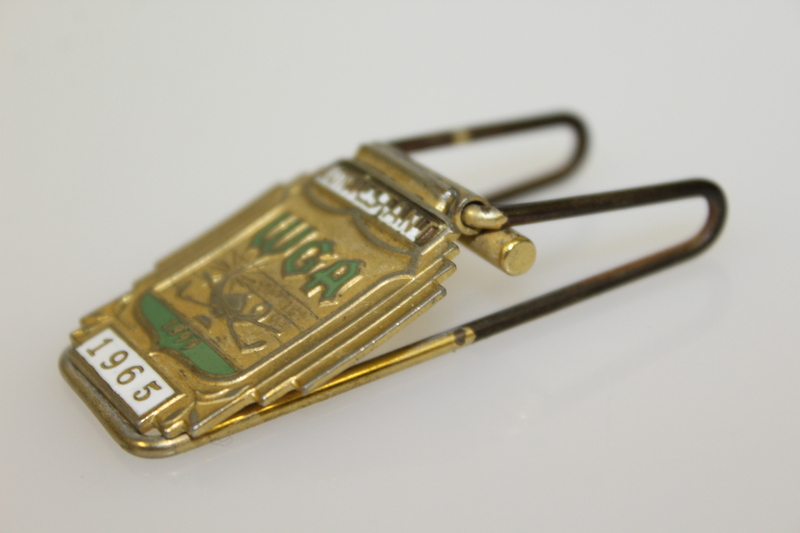 Here we have Ray Floyd's contestant badge/money clip from the 1965 WGA Western Open. It comes in good condition, please see photographs. 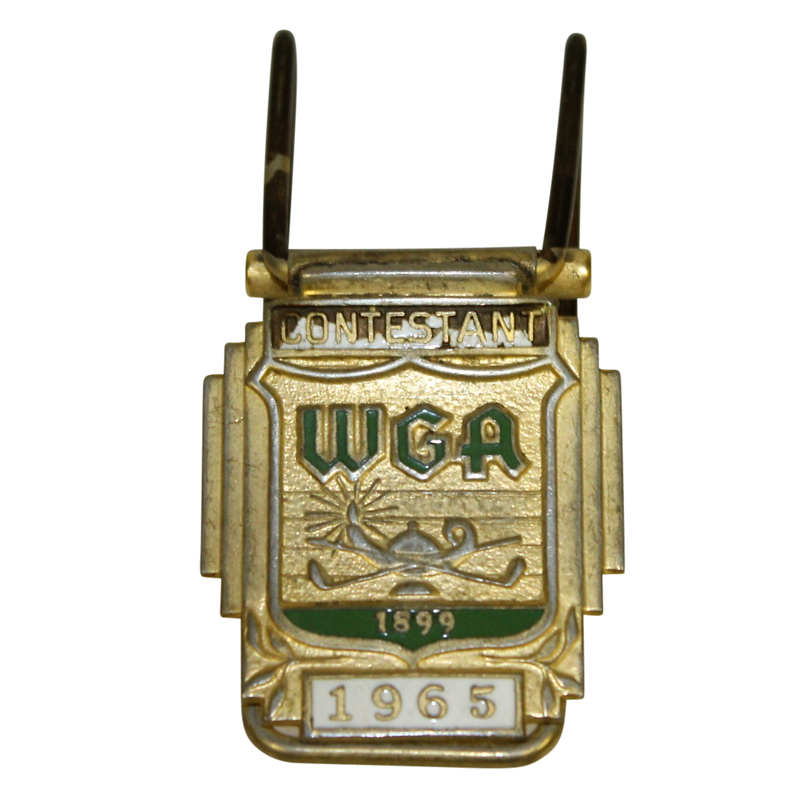 Billy Casper won the 1965 WGA Western Open at Tam O'Shanter Golf Club.